Height! Kids are often wanting to know how tall am I? When will I be as tall as you (talking to older people)? When your kids talk about height you can talk about measurements and start keeping track of growth. If your child is very young you can show them how tall they are by measuring them against a wall (or paper against a wall if you don't want to actually write on your wall). Then have fun measuring it. How many feet and inches is it (or meters and cm)? You can compare it to other people's height. How much taller are others compared to them? 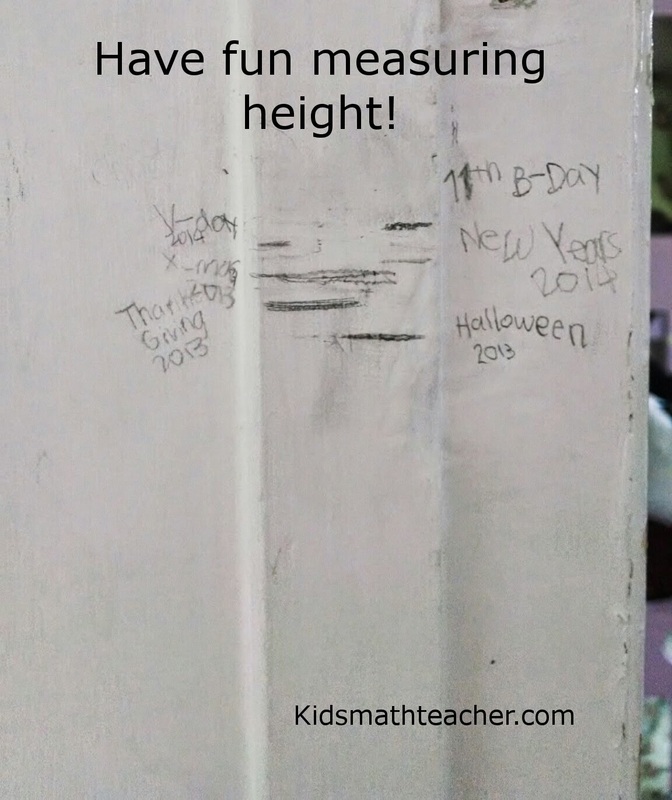 What do you do with measuring and/or height with your students?